Simplify your space with this Wireless Charging Pad. This charger uses Qi-certified transmitting coils to deliver charge to your phone wirelessly. No need to plug in when it’s time to power up, just lay your phone or other Qi enabled device onto the charging pad. When the LED indicator lights up, your device is charging optimally. No more cable clutter at your charging station. Simply place your Qi-enabled device onto the pad. Keep charging simple, even when your hands—and days—are full. Qi is one of the wireless technologies on the market. It’s a popular option used by some of the industry’s leading smartphone manufacturers, including Apple and Samsung. Some charging pads aren’t optimized for Qi and may charge slowly, overheat, or stop charging before your device fully powered up. Engineered to be Qi compatible, the BOOST↑UP™ 5W Qi™ Wireless Charging Pad safely and fully charges phones, tablets and other accessories with Qi technology. With its compact, travel-friendly design, the Qi Wireless Charging Pad easily fits into a pocket or bag. Its small footprint takes up a minimal space on your desk and the elegant design blends in at home or in the office. 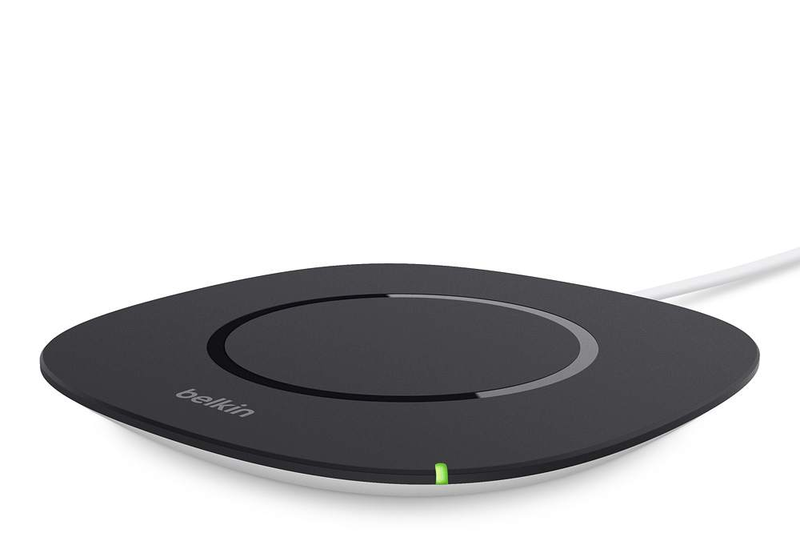 The Qi Wireless Charging Pad comes with a Belkin Micro-USB Cable. The cable may also be used independently of the charging pad to charge any device with a micro-USB input.